On Thursday, August 30, 2018 from 6:30-8:00 PM, we have our fall registration event at Fall Creek Elementary (12131 Olio Rd, Fishers, IN 46037). 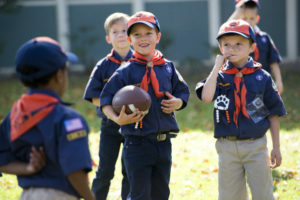 All scouts are encouraged to attend in their Class A uniforms. Feel free to bring Pinewood Derby cars and anything else that might excite recruits about scouting. Scouts are encouraged to wear their Class A uniforms to school on Thursday, August 30 as well as invite any friends who may be interested in scouting. All scouts who bring a friend to the registration event can build a small catapult that they can take home to celebrate the 2018-2019 theme, Catapult into Scouting! Annual dues are $220 for new scouts and $180 for continuing scouts. Dues can be paid with checks made out to Pack 122 or via credit card. 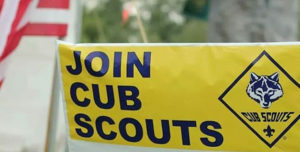 A minimum deposit of $50 is due for new and returning scouts. Remaining balance is due by the October pack meeting. Welcome back, Cub Scouts! Our August Pack meeting will be 6:30-8:00 PM on Monday, August 20, 2018 at The PROMiSE Church (12648 E 116th St, Fishers, IN 46037). 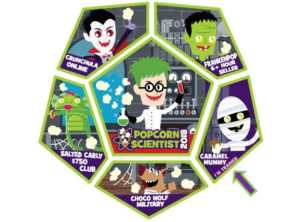 The August Pack meeting will feature our Popcorn Kickoff and also our annual Track and Field event and will include activities such as tug of war, 50 yard dash, long jump and more! We will be holding the Track and Field event outside in the Sacred Space to the east (right) of the main church building.